Are you good at breaking things? As a Software Engineer in Quality, you’ll not only break it, you’ll own it. You are relentless about breaking down code and developing tools and automation to ensure quality features for our millions of users. You heavily utilize your design, technical, communication, and analytical skills to deliver the best On-Demand Business Software Platform. Working closely with some of the most talented Software Developers and Product Managers in Technology, you understand requirements and provide feedback into scoping new features. You also use your creativity to flesh out those hard-to-find bugs and ensure the highest quality service to our customers. Ultimately, you will join a team that is driven by one mantra: what our customers want truly matters and we deliver it. Develop tools and processes (monitoring, automation, data manipulation, etc.) that will enable the successful automated validation for our software service. Enhance and upgrade functionality of our internal automation framework. Develop automated reporting mechanisms for test results. Provide effective analysis of results and recommend action based on those results. Methodically implement test plans and defect reports. Includes low-level unit testing to higher-level systems integration and performance analysis. Procedures include functional testing, performance testing, and more. Working towards a BS or MS in Computer Science, Electrical Engineering or related field. 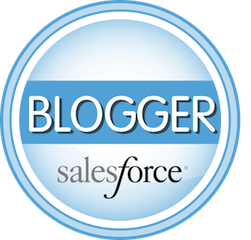 Develop customer social networks with the Salesforce Sales Cloud, SalesforceData.com, Salesforce Service Cloud, and Salesforce Site.com. Connect with customers on public social networks with Salesforce Heroku and Salesforce Radian 6. We've been recognized for four consecutive years as one of FORTUNE’s 100 Best Companies to Work For 2012, named the World's Most Innovative Companyand the third Fastest-Growing Tech Company by Forbes. This is an exciting, rewarding place to do the best work of your life. We’re growing fast. We hire talented, energetic professionals. There’s never been a better time to explore an internship at salesforce.com.